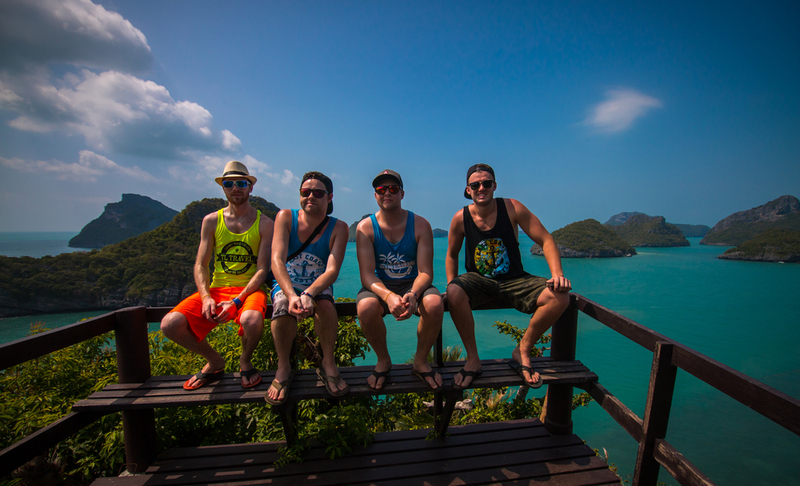 "I recently traveled to Thailand for three weeks with TL Travel & I cannot believe how much we were able to accomplish. From accommodations to excursions it was a completely stress-free trip! It was extremely obvious that our adventure architect was passionate about traveling & she was able to answer the many questions that I had about Thailand (& traveling in general.) I cannot wait to book again!" Thailand is a beautiful kingdom featuring Buddhist temples, exotic wildlife & more than 150 spectacular islands. Along with a fascinating history & unique culture that includes tasty foods & Thai massage, Thailand features a modern capital city & friendly people who give Thailand its reputation as “land of smiles". At TL Travel, we know that pre-made packages aren't for everyone & that is why we specialize in custom travel experiences. To us, Thailand is like our home away from home & we are excited to share with you our favorite destinations, hotels, excursions, restaurants & more. Please use this page as inspiration for your next Thailand getaway & contact us when you are ready for a quote. 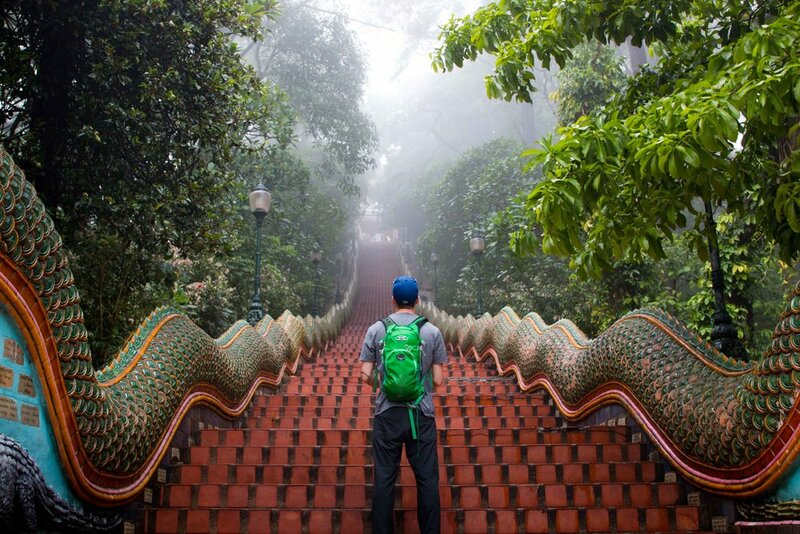 When it comes to beautiful spots & amazing adventures in Thailand there are just too many to count. From bamboo rafting in Northern Thailand to island hopping in Koh Ang Thong National Marine Park, you are never without something to do (unless you want to be!) Here are just a few suggestions for must-see / must-do in Thailand "Land Of Smiles"
Whether you're drawn to the backpacker scene of Khaosan Road or the nightclubs of Sukhumvit, a night out in Bangkok is a must for your bucket list. Plan to start or end your journey with some time in the city & see what all the fuss is about! 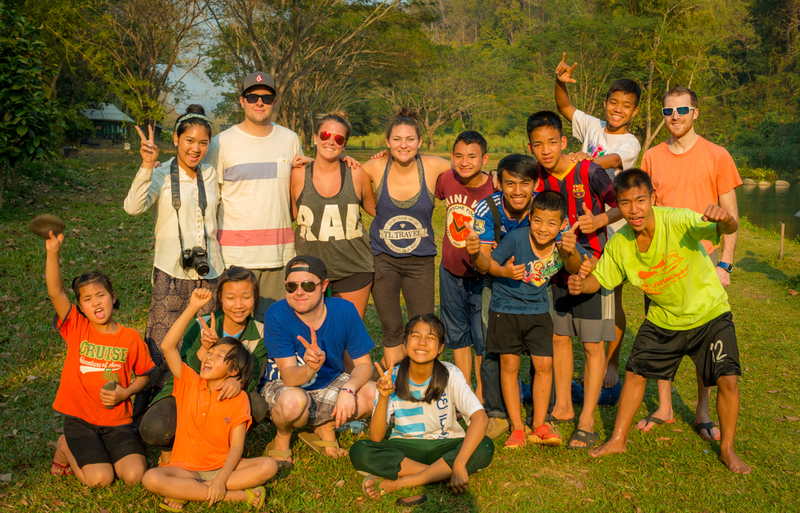 There are so many places in Thailand that you can go to interact with Asian Elephants but Chiang Mai is where you will find some of the best, most humane options for living out this dream. The Elephant Nature Park is an elephant rescue & rehabilitation center where you can go to visit, play, or even volunteer with these majestic animals. A number of other options exist in the area as well & TL Travel can help you discover the perfect program for you. Found in the Gulf of Thailand, Ang Thong National Marine Park is an archipelago of 42 pristine islands just waiting to be explored. Hop on a speedboat tour from Koh Samui or Koh Phangan & enjoy both beaches & views that are sure to top your favorites list. TL Travel works in partnership with both boutique hotels & villas in a number of locations & at a variety of price points throughout Thailand. The hotels & villas pictured below give just an example of the many accommodations available offering the "luxury for less" feel that our TL Travelers enjoy the most. Everything that you see on the TL Travel website can be customized to suit your specific needs, so be sure to contact our team at reservations@tltravel.ca for specialized quotes, recommendations, upgrades or downgrades. Your vacation is yours & yours alone, so #DiscoverTheBalance with TL Travel & let us plan the perfect getaway for you!